Valley Management Group will take a proactive approach to taking care of your Campbell property and your residents. We specialize in comprehensive property management and have been doing so for more than 35 years. We provide property management for condos, single family homes and apartment buildings in various neighborhoods through out Campbell including downtown, near the Pruneyard, San Tomas Aquino, Hamilton, and South of Campbell Ave. Our main goal is to do everything that we can to save you time and money without compromising on the quality that our past satisfied customers have come to associate us with. Get in touch with us if you’re a property owner in Campbell renting out your property either now or in the near future. Experience and Professional Affiliations: With more than three decades’ worth of experience, we have extensive knowledge regarding Campbell’s real estate and rental market. Our owner, Lloyd Kipp, is also a member of the Apartment Owners Association of California (AOA). 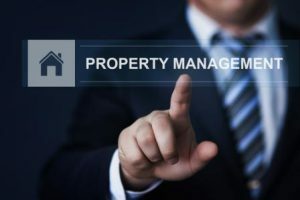 Now instead of spending your extra time and energy learning all there is to know about becoming a property manager, you can utilize our experience and expertise instead while you get back to your regular day-to-day routine. Quality Documentation and Accounting: We’re also accounting experts when it comes to property management. Our accounting services are fully compliant with local, state and federal regulations and requirements, and we’ll make sure you get a detailed statement every month listing all of your account activity. We want you to always be aware of what’s going on with your property account and ensure that you receive your property income either through a direct deposit or through the mail. Property Management Services: What’s unique about our property management services is that we tailor them to meet the needs of our individual clients and their residences. Some of the services we provide include rental property advising, consultations, rent increases, evictions, rent collection and lease preparation. Federal and Local Law Compliance: Not only will we make sure that your property looks great and is well-run, we’ll also make sure that it’s fully compliant with local and federal laws. Laws and regulations can change before you know it, but we remain on top of legal updates and do everything we can to limit your liability for your peace of mind and for your residents. Reputable Vendors:In order to maintain your property so it’s looking great, we only work with the best local handymen, repairmen, electricians, plumbers and roofers who are insured, licensed and bonded. Depending on the work that needs to be done, we may shop around and get more than one quote to make sure that you’re getting the best price. Exemplary Resident Relations: In order to ensure your residents stay around for as long as possible, we resolve maintenance issues as quickly and thoroughly as possible and carefully inspect their property or unit before they move in and address any issues that we notice. Quality Customer Service: Rest assured that we will try to make your residents will feel more like friends and family than residents. We will treat them with kindness, respect and courtesy. We aren’t happy unless your residents are happy. 24/7 Emergency Response: Maintenance issues don’t always wait for a convenient time to crop up, which is why our property manager will is always available day and night to resolve the issue. With the help of Valley Management Group you can find out just how easy it is to be a property owner in Campbell and leave all the property management tasks with us. Call us at 408-286-4200 for a free quote or fill out our contact form.